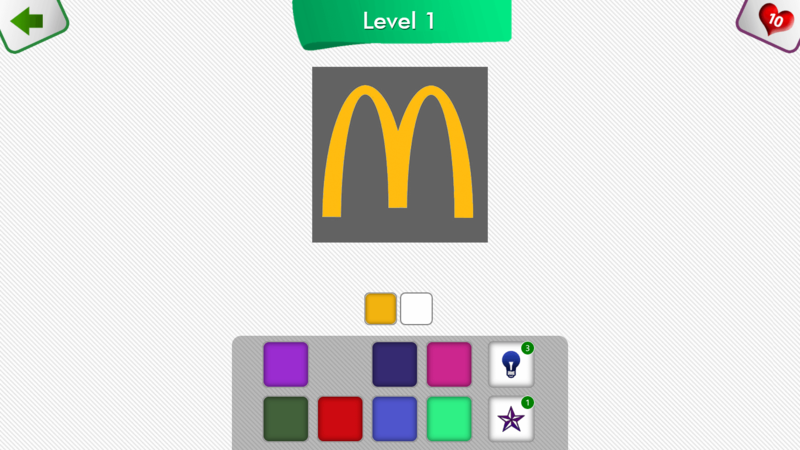 In this game you have to guess the color of many things, including logos, cartoons, every day items, as well as popular images and icons. This looks simple, but it is difficult to really remember the colors of things you see every day. Do you remember the color of Elmo’s nose? In the game you can use stars to solve automatically any image, or hints to get more info about the image, or ‘tries’ to keep on playing if you fail too much. You can wait a little ot get more tries, or accelerate your game by purchasing tries, stars or hints. This is our most popular game ever, try it out!